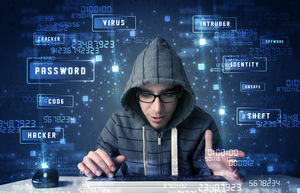 Cyber criminals are finding more and more ways to exploit business computer systems resulting in disruption to users, theft of data, identity theft and virus infection. Costs for dealing with these security breaches can be substantial, so reducing the risk of a cyber attack should be at the top of your list of priorities and will save you time, worry and cost in the future. If your company suffers a security breach, the implications for your business could be catastrophic. Your IT department or provider will be working overtime to investigate how your systems were breached, what information has been accessed and how to repair the damage. The reputation of your company could be at risk and you may have to counter any adverse publicity. Legal responsibilities will need to be assessed and claims dealt with. Financial losses running into tens of thousands of pounds could be incurred to repair the damage. A management system will help to mitigate the impact of an incident and get your business back to normal as quickly as possible. By implementing ISO 27001 (ISMS) you will be assessing the risks, identifying threats and putting in place a process to protect your valuable information assets.